I am a recently retired gentleman who is in half decent shape. I try to stay active and I play hockey once a week. I saw a commercial on TV about the Max Trainer and I knew I wanted it. 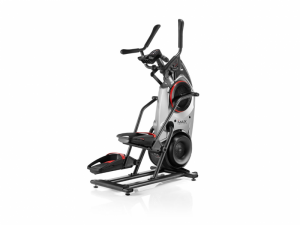 I have used elliptical and treadmills in the past when I had a gym membership but I never considered buying one for home because of the large amount of room I would need to set it up. The Max Trainer solves this problem with it's small size. It is also a terrific workout. I use it 5 days a week and have burned off those calories. The M5 is solidly built. I would recommend this over the M3 as it has a number of different programs which I find usefully. If you are thinking about getting one and can afford the price I would certainly recommend it. Even my wife has started to use it after she has seen the weight I have lost.